Alyssa joined our staff in December of 2014 as therapist and massage therapist. She is a native of Wareham, Massachusetts; a small town just an hour southeast of Boston. She grew up in Southwest Florida with her parents and sister when her father retired from the Massachusetts State Police. Alyssa then relocated to North Carolina in 2009, graduating with Honors from Southeastern Institute in Charlotte NC specializing in Neuromuscular Massage. 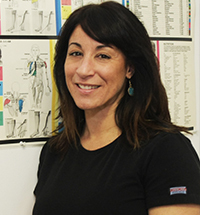 Alyssa understands the many benefits of working the whole body to achieve maximum benefits in posture, athletic performance and correcting the imbalances of the musculoskeletal system resulting in faulty movement patterns. An avid athlete herself, Alyssa enjoys kickboxing, running, and coaching her son's soccer team. She resides here in Belmont with her eight year old son, Luke who also enjoys the benefits of her massages. She is excited to start a career with Belmont Chiropractic bringing her enthusiasm and knowledge for the field of massage therapy to this office and community. Alyssa also will offer hand and foot reflexology along with massage. Amy Ballard, is our newest Chiropractic Assistant. Amy's primary position is at our front desk. 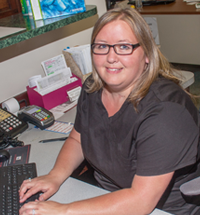 Amy will greet you with a smile, make your next appointment and make sure you have a wonderful experience at our clinic. We are glad she has joined our team. 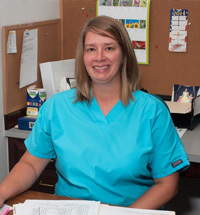 Tabetha Falls Chiropractic Assistant, is involved in every aspect of patient care in the office. Her primary duties include making sure our insurance department runs smoothly. Please call her with any questions about your insurance coverage and billing. She is an expert. Belmont Chiropractic Center's certified and qualified Belmont, Cramerton, Gastonia chiropractors have been helping patients in the greater Belmont, Cramerton, Gastonia area for many years. We understand how frustrating your pain can be and strive to offer each and every one of our patients personalized and attentive care. At Belmont Chiropractic Center, we strive to not only treat but also educate our patients about pain and pain management. You may not know that your constant headaches are a symptom of a neck strain, or that your constant knee pain is caused by a misaligned back. Many of our patients come in complaining of pain in one part of their body to find out that it can be treated by working on a totally different area. A skilled chiropractor can even decrease or completely alleviate pain caused by arthritis or resulting from whiplash and other injuries. He or she will also be able to counsel on the best pain management treatment for your unique situation, often without having to prescribe expensive pain killers.